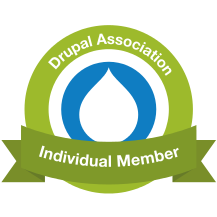 Configuration is Drupal's fundamental instructions from the site administrators and developers for how to run itself. Unlike state, which Drupal itself is broadly at liberty to change, configuration is only likely to ever change at a human's behest. Examples include the site title, or whether the site is in maintenance mode: only a human can determine these settings; it's a rare use case where Drupal would change its own title, or put itself into maintenance mode. If configuration is going to hang around for longer, it needs better curation of its life cycle. Configuration can also depend on certain modules, or even be made nonsensical or dangerous (and thus a candidate for uninstallation) when some module is uninstalled. Configuration has its own internal complexity above and beyond just the complexity of whatever data values are being stored. Configuration uses config objects and config entities to support its persistence and complex behaviours, in contrast to state's simple, cached key/value store. The use of entities also permits configuration to be exported and re-imported, implying that an assembled entity's-worth of configuration (unlike state) can be of use to other sites, not just the one it was configured on. Config objects versus config entities? We've introduced a subtle divergence in terminology, which is only important, depending on what you're doing with configuration. A key aspect of content entities is their countability: if your website has N news items, you can easily envisage it having N+1; moreover, if the most recently created node had ID X, and no other nodes had been created since, then the next node will have ID X+1. If we imagine referring to nodes via their long, unique UUID string instead, we could instead say that they weren't so much countable as sequenceable: put all the nodes in some order, and you can always add a new node at the end of the list. These are sequenceable, like content entities. They don't necessarily have a numeric ID, but they do have a unique name and can have a UUID for import and export. Config entities of a particular type must have names that conform to a particular pattern, defined in a .schema.yml file provided by the module responsible. Examples of config entities: a blogpost view; an input format; a field configuration. These are not sequenceable, and (while they can also have a UUID for import and export) are identified solely by their unique name: in this respect they are a kind of singleton. As such, there's no pattern for names that can be extended, although names should begin with the name of the module responsible for the configuration, so they can be uninstalled with the module. Config object structure can also defined in the schema YAML file of the module responsible. Example of config objects: views settings; contact form settings. Regardless of its type, configuration items all use the same class(es)! Drupal\Core\Config\Config, or more usually an ImmutableConfig to avoid altering configuration by mistake. So in much of your day-to-day use of the configuration API, you'll hardly notice the difference. If your own configuration's type matters to your own code or to possible future extension by others, it must be defined in a .schema.yml. This file is also used to describe the internal contents of the configuration: for example, the data types of different keys and sub-keys. These provide type hints for the typed data API, which we will discuss later. If you like, you can have a look at the entry for core.date_format. * in the core.data_types.schema.yml file, and compare it to the example YAML file below. If you're only dealing with other modules' configuration, then the key difference you must remember is that you'll usually add config entities, not config objects. You can imagine adding config entities that other modules would be responsible for: e.g. installing a new view or content type (indeed, we did this previously when discussing entities and fields.) However, there is little point in your own module adding config objects for other modules: because they have no naming pattern, and no sequenceability, they have no discoverability; and the new configuration would therefore not be detectable by the other module. Configuration created solely for your custom module's own use should have a name beginning with your module's own e.g. d8api.settings. You may (and probably should) provide further information about the configuration's structure and type (object vs entity) in e.g. d8api.schema.yml, but we don't cover that here. Configuration created to integrate with another pre-existing module should have a name matching a pattern registered in that module's schema file e.g. views.view.customview references the views.view. * pattern found in views.schema.yml. This also implies the configuration must be a config entity, not a config object. Any other naming convention should be avoided. At the time of writing, it is possible to create configuration with arbitrary names, as long as no dependencies are declared within the configuration's data structure (see below.) Don't do this; at the very least, it will not be uninstalled along with your own (or anyone else's) module, which is bad practice. At worst, it will be an ongoing maintenance headache, as future developers (including your future self) try to work out just how the configuration is meant to work. Any YAML files found in your module's config/install/ folder will be activated in Drupal at the point of module installation, and this is the preferred method of creating new configuration. The file's name (minus the suffix) will become the configuration name: so d8api.settings should live in config/install/d8api.settings.yml. You can also create arbitrary new configuration using a Drupal\Core\Config\ConfigFactory object: just use ->getEditable($newConfigName) to retrieve a new mutable object, then ->save() this object with the name provided. In classes, the factory should always be provided using dependency injection of the config.factory service, as discussed previously and demonstrated in the example class below; at the command line, you could use \Drupal::service('config.factory') directly. Remember to still respect naming conventions for any new configuration names. Configuration can be read and updated through the same config.factory service discussed previously. Note that the simple ConfigFactory::get() method returns an immutable, or read-only, configuration item, using Drupal\Core\Config\ImmutableConfig: as you can see in the example immediately above, getEditable() returns the editable Drupal\Core\Config\Config instead. Values within the configuration item can be set using a dotted syntax, so that Config::set('key1.key2', $value) creates an array containing key2 => $value, then assigns it to key1. A key aspect of configuration is Configuration Management. The configuration of any website is always exportable, and this export can be restored at a later date to reconfigure the site. There are many ways of exporting configuration; Drush provides a config-export command, to export into a directory defined in your site's settings.php, and the aforementioned config_devel has a command to re-export just the configuration for a particular module. In code, you can explicitly delete configuration items retrieved with the config.factory service using $config->delete(). You can also just unset specific sub-arrays within the configuration, leaving the rest intact, using $config->clear($key)->save(). For sub-subarrays, $key can follow the same dotted syntax mentioned above e.g. 'key1.key2'. However, you probably never need to delete configuration items explicitly, if you've followed the naming conventions discussed above. When a module is uninstalled, all configuration it "owns" will be uninstalled too. In addition, if you need to uninstall another module's config entity, when some other module is uninstalled—for example, a view depending on a field formatter in some other module—then you can include in the YAML file the dependencies: enforced: - d8api syntax, demonstrated in the example class below. * Run some configuration API tests. *   Config factory service, injected into the new object. * Read a configuration value; override it; change it back. * Config names are stored in the name column of table config. print "Site name has been changed to: "
* Create a new configuration value; save; clear part of it; delete. // Reload, then clear a value. // Look at the entire raw data first. print "Config with 'foo' key cleared out: "
// You can even interrogate partial arrays of content e.g. just "baz". print "Config 'baz' data: "
Provides compatibility with dependency injection, to obtain the config factory service. Trivially demonstrates $factory->get() and $factory->getEditable() to get configuration items, and then each item's ->set() method to modify a value within the configuration. Shows the full life cycle of both a configuration item and also deleting certain data within it using ->clear(). We'll show below how to use this class, and what results to expect. Depending on what tutorials you've completed previously, you'll probably have other files in config/install/ already. It will uninstall along with d8api module. We also want to demonstrate that this configuration can be uninstalled along with the d8api module. Hence the YAML includes dependencies: enforced: module: - d8api: that means, although this configuration "belongs" to core, it will also be uninstalled when d8api is uninstalled. Dependency enforcement only makes sense for config entities, because config objects are installed and uninstalled only with the module that owns them i.e. shares their namespace. As previously, you should have Drush available, and we don't cover that here. You should also uninstall the d8api module, so that the YAML examples included will work correctly. [success] Configuration successfully exported to some/folder. [ok] d8api was enabled successfully. The only update you should see will be to the core.extension configuration: the list of enabled modules now includes d8api. You can confirm or deny at the "y/n" prompt above: it doesn't matter. Site name has been changed back to Tutorial. As you can see, system.site is a config object which happens to have a UUID. The output further shows that, when the config object is saved and then reloaded, its title has been changed; and then changed back, so this example doesn't permanently rename your site! The output from this shows respectively that: new, as-yet-unsaved config objects have an empty array as their "raw data"; the ->clear() method only unsets specific subarrays within the configuration; we can retrieve sub-arrays of configuration using keys; and that the delete method entirely removes the config object from the site. drush sqlq "SELECT name FROM config WHERE name LIKE '%d8api%';"
The person contact type is discussed in our previous tutorial on fields API; you can see the other three YAML files have resulted in three items of configuration. [ok] d8api was successfully uninstalled. You can see that the badly-namespaced configuration has been "orphaned", although the others have been removed: the contact type, because it depends on a bundle defined in the module; the d8api.some.filename, because its namespace shows it is owned by the module; and the date format, because its YAML contained an enforced dependency. drush sqlq "DELETE FROM config WHERE name LIKE '%d8api%';"
You should then also remove the notamodule.d8api.yml file from the module, before reinstalling. If you can see all of this, congratulations! you have learned what configuration is, how it's stored, and how to manipulate it.